She's unlikely to feature on many lists of the all-time top British cultural icons. 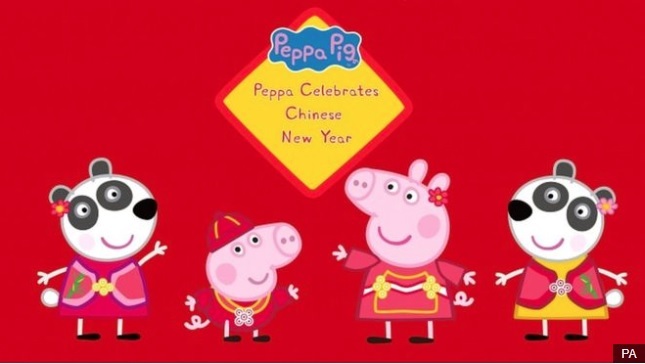 But Peppa Pig - the UK-made children's cartoon character - is right up there with the best of them, at least in China. With the series racking up 18 billion online views since its launch here seven years ago, the story of Peppa and her unfeasibly English middle class family is, arguably, doing more for Brand Britain than the Beatles, Manchester United and any of the culinary delights - for which the UK is rightly so renowned - put together.